The Marc Cain success story began in Italy in 1973. Today, the company is a globally operating premium brand managing its international business on four continents from its headquarters in Bodelshausen. 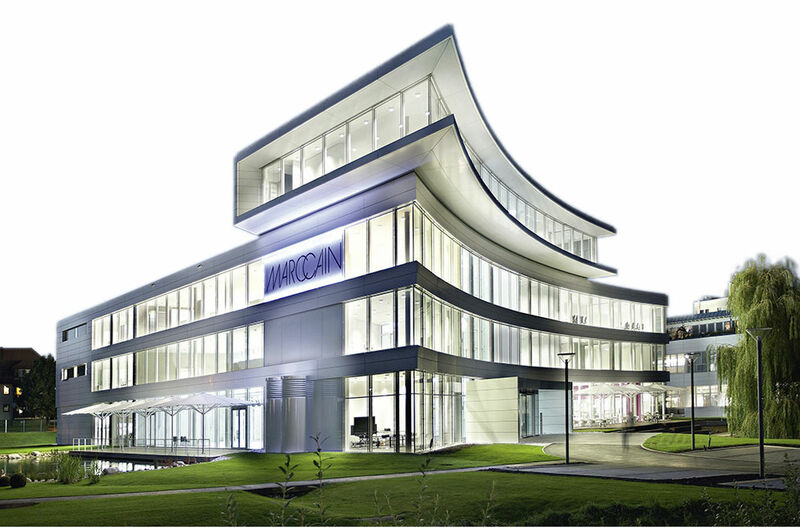 The new production and administration buildings, with the latest design furnishings and state-of-the-art machinery, are a clear declaration of belief in its location in Germany. On these premises covering 12,000 square metres, new ideas and techniques are developed, setting standards in design, printing and knitting throughout the industry. Take an exclusive look behind the scenes of our headquarters and discover how unique design is created meeting the highest demands in terms of quality and innovation – fashion made in Germany.